The Conservation College Earth Skills Teaching Apprenticeship has been our hallmark program since 1999, with six positions available in this, our 20th Summer of the program. Learn to teach hands-on skills of the Neighborhood Naturalist, Traditional Herbalist, Wildlife Tracker, Wilderness Survival Scout, Ancient Artisan, Sustainable Citizen and Environmental Educator, with options to develop one or more of these topics into an area of specialty. Kim & Chris Chisholm will guide you through this experience alongside veteran faculty and staff as you gain wilderness skills in a fast-paced, outdoor setting. In one summer, you’ll become a professional outdoor educator with skills of backcountry leadership, risk management, and adventure program development – on top of all the in-depth earth skills we teach. Our goal is to ensure that by the end of the summer, you will have the most professional, practical, intellectual as well as hands-on outdoor educational training available, with a specialized skill-set necessary to work anywhere in the field of outdoor education. This program is designed to be a 100% work-trade experience, although most participants are hired onto payroll before the end of the summer. The official cost is $3,000 including all your summer expenses (except weekend entertainment) from arrival to departure. That tuition may be reduced for previous training and experience, as well as optional early-summer work trade. The tuition rationale is that you’ll be paying for the equivalent of five early-summer Training Weeks at a discounted rate of $600/wk (that’s $200 off since apprentices are expected to assist staff with camp chores when needed) after which you will be refunded $600/wk for co-teaching youth and family camps in the last half of the summer. We will put your up-front tuition in a designated savings account, out of which you will receive weekly reimbursements starting July 27th for any youth camps you assist. Reimbursements will continue as long as you continue to assist camps, working toward the goals detailed later on this page, until your account is reimbursed and you get switched to payroll. There is a risk that we let an apprentice go before s/he gets tuition fully reimbursed, although that has not happened since 2007. There are absolutely no other expenditures you will need to make throughout the summer. Food, facilities, gear, books, transportation between courses, etc. 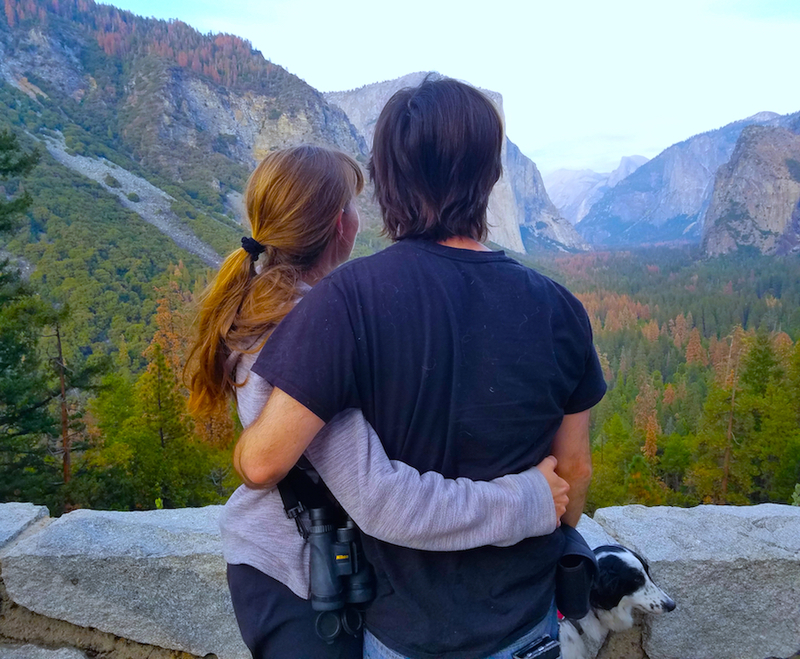 is complimentary in exchange for all the help you will be providing Wolf Camp such as organizing, packing and periodic kitchen duties while studying earth skills education each week. Again, you don’t have to spend an additional dime after arrival except for personal variables such as health care and insurance if you aren’t already covered, smart phone and personal vehicle expenses if have you one or both of those, and weekend entertainment if you so choose. You’ll also have free access to books and field guides in the Conservation College library, as well as complimentary guidance through Wolf Journey Earth Conservation Course field exercises as time allows. You will need backcountry gear like good waterproof hiking boots, large backpack, camping stove, tent, etc. so check out our Summer Expeditions Packing List and request access to the Backcountry Leadership Training gear list which is all you’ll need during the summer, plus a simple laptop (chromebook is fine, for instance) to record your progress and prepare for camps. In comparison to the Wilderness Skills Training Intensive, the Earth Skills Teaching Apprenticeship: 1) diverges during the second half of the summer into teaching outdoor skills, rather than just studying/practicing them; 2) offers the chance to specialize in one of four areas of expertise listed in the next section below; 3) has greater expectations for personal behavior such as development of excellent staff communication skills, being a role model for students including on accessible social media, not smoking or drinking all summer, etc. ; and 4) requires previous experience, education, or training in outdoor skills or in fields of teaching, medicine, sustainability, or camp counseling, for instance. That said, there are successful apprentices who came with no formal experience, but who had simply spent so much time outdoors in their childhood and/or young adult years, that they were often more prepared than those who primarily had academic training. If you are unsure as to whether you qualify for the apprenticeship, simply follow the application steps which include a conversation with program directors, and we will let you know whether you are eligible for the Earth Skills Teaching Apprenticeship or the Wilderness Skills Training Intensive. Outdoor Leadership & Nature Guiding is the most common focus for apprentices, offering the widest array of outdoor education and earth skills. This focus helps you build your summer schedule around skills of naturalist training, backcountry leadership, risk management, adventure program development, and the teaching of the earth skills listed above. Click here for more information on this focus area which also features opportunity for Outdoor Leadership and Nature Guide Certifications upon accreditation. Traditional Technology & Survival Instruction is a focus area emphasizing navigation, fire, shelter, wild edible foods foraging, and traditional craftwork like tanning hides for leather, making bows and fishing gear for the fall harvest, working with stone to make knives and arrowheads, and practicing survival scenarios in case of emergency. Upon completion, you will know how to harvest and teach plants, animals and minerals with skills needed to honor their gifts. Click here for more information on this focus area which also features Traditional Technologies and Survival Instructor Certifications upon accreditation. Herbal Medicine & Ethnobotany Instruction is another focus you can choose as part of your apprenticeship experience. Ethnobotany means understanding the relationships between plants and humans, how plants are incorporated into our daily lives, and how humans are dependent upon plant ecosystems. As part of this program, you’ll become an herbalist who knows how to respectfully teach the harvesting and preservation of plants for their medicinal, nutritional, and utilitarian gifts. Click here for more information on this focus area which also features Ethnobotany and Herbalist Instructor Certifications upon accreditation. Wildlife Conservation & Tracking Instruction is the fourth option we have available as a specialty for you to develop. Participants will realize in every area of outdoor study – herbalism, scouting, survival, traditional living – that “it all comes back to tracking.” If you can find it, you save the time required to make it. Whether you choose this apprenticeship focus for the purpose of wildlife research, sport, or teaching, you will be well on your way to becoming a highly valuable guide of our native fauna. Click here for more information on this focus area which features Wildlife Tracking Instructor Certification upon accreditation. Please note you will need to complete a Wilderness First Aid training before arrival. Check out courses with REI, Mountaineers, or wildmedcenter.com. Close-up of apprentices and mentors during the 2016 Backcountry Leadership Training. Optional June 7 early arrival to get settled in and help with Orting Farmers Market. Evening campfire with other apprentices and staff. Optional June 8 Meeker Creek Restoration Work Party. Optional June 9-14 jump-start on Wolf Journey Earth Conservation Course independent study field exercises. 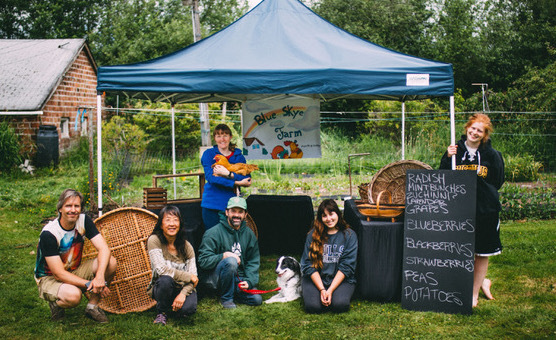 June 15 complimentary participation in the Sustainable Home & Gardens – Living on an Acre workshop which is a great orientation to the conservation philosophy of Blue Skye Farm, home base of Wolf Camp and the Conservation College. June 17-20 mentoring through Wolf Journey field exercises, with room and board also provided in exchange for 2 hours/day of work trade getting ready for summer camps and helping farm interns, a chance to gain sustainable agricultural training. June 21 Training Options: Morning CPR-AED required if not currently certified, optional afternoon Hunter Education if initial online course completed by this date, or complimentary flintknapping instruction if not doing one or the other training today, plus optional Orting Farmer’s Market with farm interns, and evening solstice campfire with all staff. June 22: Wolf Journey journaling of lessons learned on Friday, and prepare for the following week. June 23-28: Teaching Nature I including in-house Wilderness First Aid and risk management trainings, plus observation of our Wilderness Skills Sampler day camp in preparation for student teaching next week. June 29: Wolf Journey journaling of lessons learned at Teaching Nature I, and prepare for the following week. June 30 – July 5: Teaching Nature II including helping to teach our Family Classes and participation in our Independence Day Fun-Run. July 6: Wolf Journey journaling of lessons learned at Teaching Nature II, and prepare for the following week. July 7-12: Sunday Lunch Meeting 12-1. Pack for the week from 1-2 and travel to course location from 2-3. Help set up camp from 3-4 and greet participants from 4-5. Dinner from 5:00-6:00 then start of then start the Wilderness Survival Training & Trek. Attend week-in-review meeting on Friday evening. July 13: Wolf Journey journaling of lessons learned at Wilderness Survival expedition, and prepare for the following week. July 14-19: Sunday Lunch Meeting 12-1. Pack for the week from 1-2 and travel to course location from 2-4. Help set up camp from 5-6. Dinner from 6:00-7:00 then start the Tracking Wolf Country – Birds to Bears expedition. July 20: Wolf Journey journaling of lessons learned at Wildlife Tracking expedition, and prepare for the following week. July 21: Sunday Lunch Meeting 12-1. Prepare for the week with lead instructors from 1-5. Dinner from 5:00-6:00 then set up for the Kids Day Camps this week where you will be assisting Wilderness Survival Craft, Wildlife Search & Rescue or Wild Cooking & Herbology depending on staffing needs and your area of focus. July 22-26: Daily potpourri from 7:00-8:00. Breakfasts and morning care from 8:00-9:00. Welcome campers from 9:00-9:30. Camps and classes from 9:30-12:00. Lunches, archery and swimming from 12:00-1:00. Camps and classes from 1:00-3:30. Morning care and prep for tomorrow from 3:30-5:00. Dinner from 5:00-6:00. Finish prepping camps and classes 6:00-8:00. Campfire music and stories from 8:00-9:00. 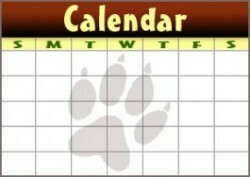 July 27: Wolf Journey field exercise, journaling of lessons learned at day camps, and prepare for the following week. July 28 – Aug 2: Sunday Lunch Meeting 12-1, prepare with lead instructors from 1-4, and greet participants from 4-5. Dinner from 5-6 then assist lead instructors at Wild Chefs & Herbal Medics overnight camp, or prep for day camps if assisting with Wilderness Survival Craft or Wildlife Search & Rescue, or Advanced Herbal Medicine depending on staffing needs and your area of focus. Attend week-in-review meeting on Friday evening. August 3: Wolf Journey field exercise, journaling of lessons learned at camps this past week, and prepare for the following week. August 4-9: Sunday Lunch Meeting 12-1, prepare with lead instructors from 1-4, and greet participants from 4-5. Dinner from 5-6 then assist lead instructors at Secrets of the Ancient Scout, or prep for day camps if assisting with Wilderness Survival Craft or Wild Cooking & Herbology, or Advanced Animal Tracking depending on staffing needs and your area of focus. Attend week-in-review meeting on Friday evening. August 10: Wolf Journey field exercise, journaling of lessons learned at camps this past week, and prepare for the following week. August 11: Sunday Lunch Meeting 12-1. Prepare for the week with lead instructors from 1-5. Dinner from 5:00-6:00 then set up for the Kids Day Camps this week where you will be assisting Wildlife Search & Rescue or the Blue Skye Pioneer Camp, or Advanced Pioneer Artisans depending on staffing needs and your area of focus. August 12-16: Daily potpourri from 7:00-8:00. Breakfasts and morning care from 8:00-9:00. Welcome campers from 9:00-9:30. Camps and classes from 9:30-12:00. Lunches, archery and swimming from 12:00-1:00. Camps and classes from 1:00-3:30. Morning care and prep for tomorrow from 3:30-5:00. Dinner from 5:00-6:00. Finish prepping camps and classes 6:00-8:00. Campfire music and stories from 8:00-9:00. August 17: Wolf Journey field exercise, journaling of lessons learned at camps this past week, and prepare for the following week. August 18-23: Sunday Lunch Meeting 12-1, prepare with lead instructors from 1-4, and greet participants from 4-5. Dinner from 5-6 then assist lead instructors at Archers, Artists & Artisans, or prep for day camps if co-teaching Wild Cooking & Herbology or Wilderness Survival Craft, or Advanced Ancient Scout depending on staffing needs and your area of focus. Attend week-in-review meeting on Friday evening. August 24: Wolf Journey field exercise, journaling of lessons learned at camps this past week, and prepare for the following week. August 25-30: Sunday Lunch Meeting 12-1, prepare with lead instructors from 1-4, and greet participants from 4-5. Dinner from 5-6 then assisting kitchen and logistics staff at Epic Fishing Camp, or prep for day camps if assisting with Advanced Wilderness Survival or co-teaching the Wilderness Family Camp. August 31: Morning staff meeting and journaling of lesson learned at camps this week, afternoon cleaning and re-organizing camp gear, and evening apprenticeship graduation campfire celebration. September: Receive $15/hour with complimentary room and board at Blue Skye Farm if helping to deconstruct old garage / chicken barn for re-build of future classroom. Also join staff for optional trips to our quest or hunting sites, the Rabbitstick Rendezvous, and our cabin in Wisconsin. Former homeschool class participant and 2016 Apprentice Kyler Shumaker back in the day building a rock cairn during survival training. 3) experienced teachers who want to become versed in outdoor skills in a fast-paced educational setting. No matter your previous experience, you will be expected to fully participate in every possible summer opportunity to push your skills to a higher level of excellence, although your own health will be the priority while developing into better and healthier leaders and guides. By the time you complete the course, you will become a key resource on the natural world for your community, probably the best expert on habitat conservation in your neighborhood, and you will know how to help people make footprints on the earth as light as possible as we create the future for humanity and all its relations. Your goals will expand over the the summer, from learning the basics of earth skills education, to further developing your earth skills, being given teaching opportunities during the summer according to your desire and readiness. Curriculum for the program will include field exercises from the Wolf Journey Earth Conservation Course – Trials of the Neighborhood Naturalist, Traditional Herbalist, Wildlife Tracker, Survival Scout, Ancient Artisan, Honorable Hunter, Sustainable Citizen and Environmental Ed. 1st Priority: Learn the best methods of teaching earth skills to all ages. The way to become the best of teachers is to observe, participate in, and take notes on all the activities our instructors present over the summer, including staying up a half hour after the kids go to sleep in order to record your experiences. 2nd Priority: Take care of yourself, while nurturing campers and supporting other staff. It is important that you come into the program as healthy and prepared as possible, for although during the training portion of the program your educational needs are the focus, during the summer camp season, the needs of the children at camp will be the focus, so you will have to learn to remain healthy amongst constant camp activity. This is the trick to a successful teaching career. 3rd Priority: Develop a working knowledge of all earth skill categories. Apprenticeship graduates always relate how at the end of the summer, they were amazed at how this “just happened”. The opportunity to assist lead instructors and take on instructional leadership yourself during the summer is a great way to fully embody your own earth skills, because sometimes you can learn best only that which you teach. Our apprenticeship program was piloted in 2000. More than half our staff came on board this way, while others enrolled to receive training in order to found their own schools or gain experience for employment elsewhere. Past apprentices say that the place they learned the most about teaching and leadership, as well as where they learned the greatest bulk of their earth skills, was while assisting the incredible instructors at Wolf Camp as they guided youth and adults through the summer. Graduates invariably express how grateful they are in the year following their apprenticeship when they realize that they somehow “just know how to lead and teach” outdoor skills and other subjects as well. Check out our apprenticeship testimonials from novice apprentices, former campers-turned-instructors, and experienced educators who all succeeded in our summer apprenticeships and agree that the results far exceed expectations. Benefits of this program include eligibility for employment at Wolf Camp, strong recommendations for employment elsewhere, and advice for starting your own guiding programs. Some might think that not spending any money all summer, and often starting to get paid over time is the bottom line benefit, but the real benefit is your transformation into an excellent outdoor leader, ready for employment as a nature guide wherever organizations and agencies need qualified experts.